Light source: Look for nocturnal species near an appropriate light source located in a remote area where there are not many other sources of bright light. See the section below on light sources. Time of year: Each species has range of time, called the flight period, in which they are most likely to be found as adults. Flight periods for each species are linked to the species photo on the home page. Another consideration is moon phase. Moths use the moon for navigation, so they are most likely to come to lights on nights when there is not a full moon or the moon is obstructed by clouds. In general, most moths will not fly if temperatures are below 50 degrees Fahrenheit. Proximity to host plant: As a general rule, at least one host plant species should be within a mile of the site you intend to search/monitor. Right after mating, the females will seek to lay their eggs directly on host plants. A list of host plants can be found in the table linked to each moth photo on the home page. Click here to get more information about where to find each target species. 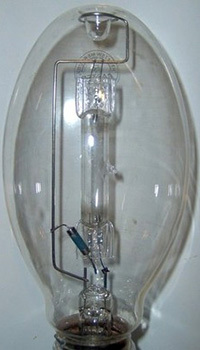 These average bulbs, regardless of wattage, do not emit light in the ultraviolet range that is attractive to silkmoths. 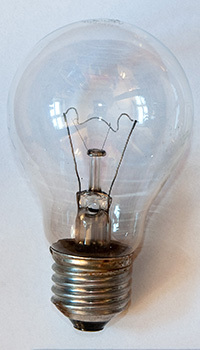 These bulbs, found in street lamps, are very bright and emit light of various wavelengths, including ultraviolet (UV) light that we cannot see but that is attractive to silkmoths. 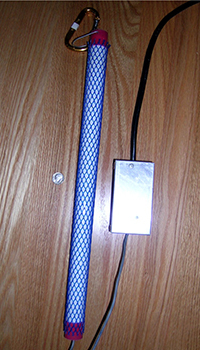 ONLY the clear and white MV lights emit UV light, the orange bulbs have a coating that minimizes UV output. Note: The UV wavelengths from MV lights are harmful to your eyes with prolonged exposure. 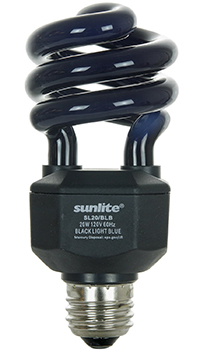 These lights, whether in incandescent or compact fluorescent form, emit some UV light but the blue coating keeps the strength from being harmful to our eyes. These bulbs are a good, inexpensive choice if you want to try to attract moths but don’t have access to an MV light. These lights are mainly in fluorescent tube form and are not often found outside. Entomological supply companies sell portable versions of these lights specifically for ‘moth blacklighting’. These lights emit a spectrum that includes UV but the wattage is low to keep the UV intensity in the acceptable range for human eyes.